The complete cartridge filter system includes a powerful 1 HP motor and a 50 square filter cartridge filter. This is all you need to filter a small above ground up to 18,000 gallons. If you bought a pump from a big box retailer that came with a system that is more like a toy and you need to step up in class to keep the water clean, this is for you. Looking to speak with someone about this product Click Here. 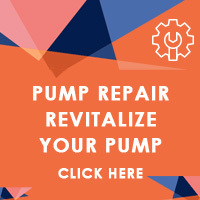 The Advantage Manufacturing Super Vac II is an excellent way to extend the life of your primary pump by providing your Above or In-ground system with this secondary pump system. It is ideal for water features like fountains or ponds with large amount of debris. The Advantage Manufacturing Mini Vac System helps protect the Main Filter in your water feature or above ground fountain from excessive dirt and debris building up and also keeps it looking and feeling cleaner. This system is ideal for pools, fountains, ponds, or any other water features that might occur a large amount of debris. Basically all of the unclean and dirty water goes into the portable vacuum's filter cartridge and clean water is returned directly back into the source. This system may also be used as an auxiliary pump filtration system when the existing pump-filter is non operational. This product is perfect for winterizing and draining ponds and spas. Includes a 75 square foot cartridge filter and a 1 HP In Above Ground Pump. If you would like to speak with customer service please Click Here. The Advantage Manufacturing Super Vac III is an excellent way to extend the life of your primary pool pump by providing your pool with this secondary pump system. It is ideal for pools, fountains or ponds with large amount of debris. The Advantage Manufacturing Mini Vac II helps protect the Main Filter in your pool from excessive dirt and debris building up and also keeps your pool looking and feeling cleaner. This system is ideal for pools, fountains, ponds, or any other water features that might occur a large amount of debris. Basically all of the unclean and dirty water goes into the portable vacuum's filter cartridge and clean water is returned directly back into the source. This system may also be used as an auxiliary pump filtration system when the existing pump-filter is non operational. This product is perfect for winterizing and draining pools and spas. It includes a 100 square foot cartridge filter and a 1 HP In Ground Pool Pump. The Advantage Manufacturing Portable Vacuum System helps protect the Main Filter in your pool from excessive dirt and debris building up and also keeps your pool looking and feeling cleaner. Includes a powerful 1.5 HP full rated In Ground pool pump and a 150 square foot cartridge filter. This system is ideal for pools, fountains, ponds, or any other water features that might occur a large amount of debris. Basically all of the unclean and dirty water goes into the portable vacuum's filter cartridge and clean water is returned directly back into the source. This system may also be used as an auxiliary pump filtration system when the existing pump-filter is non operational. This product is perfect for winterizing and draining pools and spas. The cartridge filter picks up fine material like sand unlike most mesh bag filtration systems like the Hammerhead which essentially collect leaves and big debris only. Optional hitch is available. Would you like top speak with customer service please Click Here. The Portable Vacuum System (Gas) is perfect for pool maintenance professionals who don't want to clog up the main filter with fine particles and debris. We do have different sizes for every application. Our Vacuums are very different from Hammerhead because they pick up small particles not just the leaves. The Advantage Manufacturing Portable Vacuum System Gas helps protect the Main Filter in your pool from excessive dirt and debris building up and also keeps your pool looking and feeling cleaner. Includes a powerful 1.5 HP full rated In Ground pool pump and a 150 square foot cartridge filter. This system is ideal for pools, fountains, ponds, or any other water features that might occur a large amount of debris. Basically all of the unclean and dirty water goes into the portable vacuum's filter cartridge and clean water is returned directly back into the source. This system may also be used as an auxiliary pump filtration system when the existing pump-filter is non operational. This product is perfect for winterizing and draining pools and spas. The cartridge filter picks up fine material like sand unlike most mesh bag filtration systems like the Hammerhead which essentially collect leaves and big debris only. The Briggs & Stratton 550 series horizontal OHV Engine runs cooler and cleaner, delivering more power, smoother operational, longer engine life and improved fuel economy. An excellent, compact performer that you can depend on for mid-duty applications. This is not your standard $50.00 shop vac. The primary filter is 100% woven polypropylene. Ideal for heavy debris applications where you will be required to continuously clean the filter element. The Polypropylene filter element is sturdier than standard Remay material and ensures many washes, rewashes, use and abuse. The secondary filter will grab the remaining debris down to 20 micron ensuring the remaining waste is filtered simultaneously polishing the water before being returned via the discharge port. The Advantage Manufacturing Stainless Steel Portable Vacuum System helps protect the Main Filter in your pool from excessive dirt and debris building up and also keeps your pool looking and feeling cleaner. Includes a powerful 1.5 HP full rated In Ground pool pump and a 150 square foot stainless steel cartridge filter. This system is ideal for pools, fountains, ponds, or any other water features that might occur a large amount of debris. Basically all of the unclean and dirty water goes into the portable vacuum's filter cartridge and clean water is returned directly back into the source. This system may also be used as an auxiliary pump filtration system when the existing pump-filter is non-operational. This product is perfect for winterizing and draining pools and spas. The cartridge filter picks up fine material like sand unlike most mesh bag filtration systems like the Hammerhead which essentially collect leaves and big debris only. Optional stainless steel hitch is available at extra charge. built with all stainless steel external components to prevent corrosion and well-sealed against moisture and condensation to protect internal components, the washguard all-stainless motors are able to with stand the several wash-down environments.